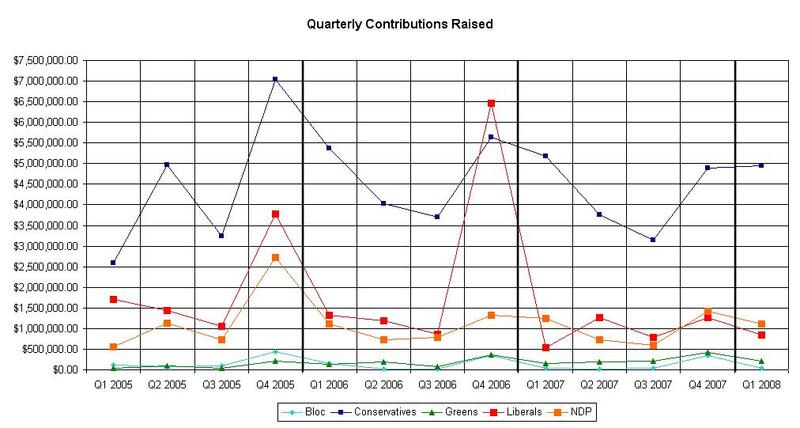 Elections Canada has released its second quarter 2008 political party contribution report; therefore I have updated my compilation of contributions reports spanning from first quarter 2005 to now second quarter 2008. 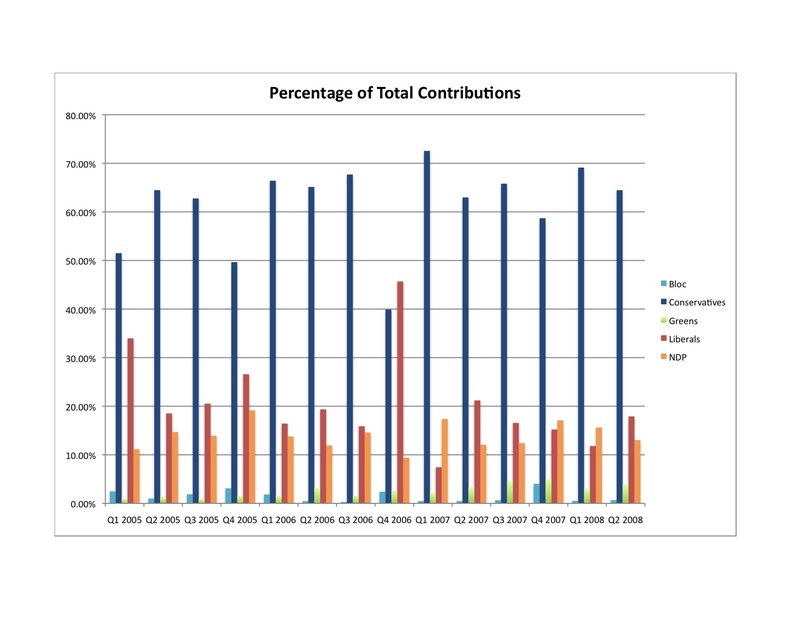 With this data I have created five graphs: one on dollars contributed, one on the number of donors, one on average amount of money per donor, one on the percentage of total donors per party, and one on the percentage of total contributions per party. I’m sure by now, most of you know about Dion’s appointment of Saskatchewan NDP MLA Joan Beatty as a candidate for the federal Liberals, and I’ve got my snarky comments on the issue in. However, I think that this appointment highlights the need to reform the rules of membership for the New Democratic Party. At present, anybody who wants to join the NDP must join both the federal party and the provincial party of the province in which they live (except Quebec). Individual memberships are handled by the provincial parties (as per Article 3.1.2 of the NDP Constitution). So what if one wants to join the federal NDP but not their provincial NDP? What if one wants to join the provincial NDP and not the federal NDP? Well, one is out of luck; they must join both parts of the NDP. The requirement to join both parts of the NDP is based on one faulty assumption: that the federal and provincial scene are the same and that if one is inclined to one part of the party, they must be inclined to the other. However, real life is much more complex. Sometimes people support the NDP in one political scene and support another party altogether in a different scene, for many different reasons. The current NDP membership rules take away one’s right to political self-determination in all Canadian political scenes by forcing one to join both sections of the party. This unnecessary removal of political self-determination seems wrong to me. Away from the philosophical, the current NDP membership rules have many practical negative effects on the NDP. One is that the shared provincial/federal membership lists could be made inaccurate for a portion of the party’s purposes. For instance, if the provincial section was using the list, if might have people on it who have no interest in the provincial party, just the federal. The same could be true the other way around. This leads to a waste of resources: a section of the NDP could be wasting scarce time and money sending information letters, donation appeals, appeals to volunteer, and other things, to people who are not interested. Another negative effect is that a section of the NDP could be missing out on a lot of volunteers and money simply because the people who would provide these resources are willing to join one section of the party, but are unwilling to join the others. Let me use BC as an example. 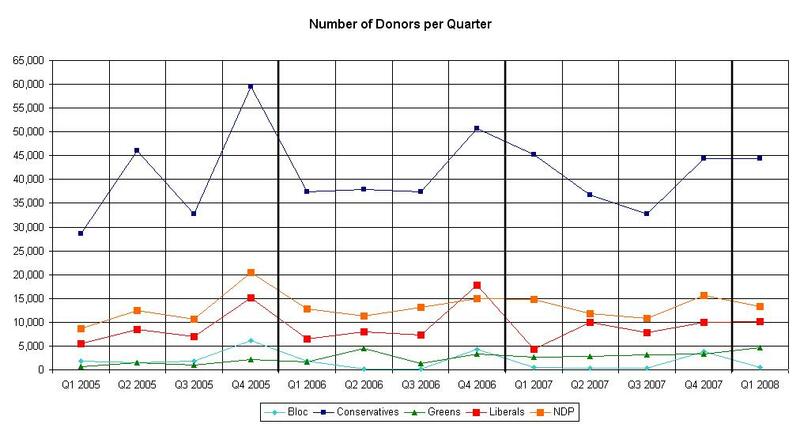 There are federal Liberals that support the BC NDP but do not support the federal NDP. Because they do not support the NDP federally, they cannot join provincially. If one can’t join, then why devote volunteer hours and money? If a federal Liberal wants to participate provincially in BC, the only real choice they have is the BC Liberals (which are more like Conservatives). 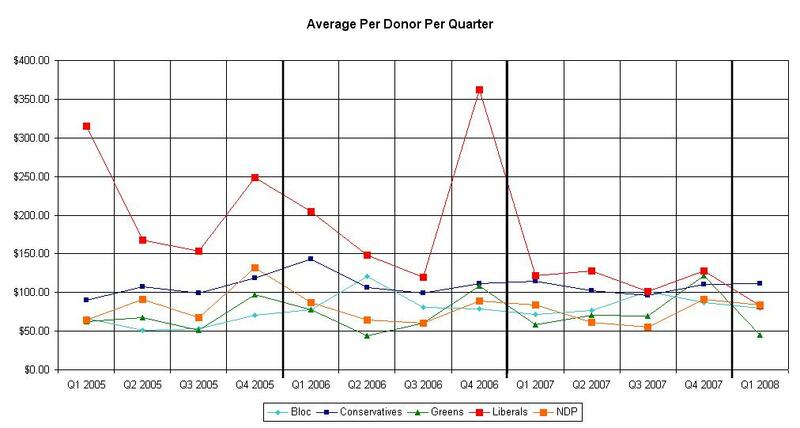 So the BC NDP might not only be losing money and volunteers, but practically giving them away to the opposition! So, the question is, how should the NDP membership rules be reformed? I propose creating a membership system in which one defaults as becoming a member of both parts of the party, but one has the ability to opt out of membership of a part of the party. I think there is no question about it: the NDP has to change its membership rules somehow. Otherwise, we will continue to have negative media when a politician that supports one part of the party but not the other decides to switch political scenes (well, okay, Beatty has admitted that she did it because the Saskatchewan NDP is in opposition and the Federal Liberals might soon be not, but maybe other politicians might have better principles). Otherwise, we will continue to unnecessarily deny political self-determination for regular members. Otherwise we will continue to waste vital resources that we need to win. I think that some people need to learn a very important lesson. One might have a point in an argument with an organization, but if one goes out to alienate the operators of that organization, if one decides to skip discussion and begin with ultimatums and bullying, well then, one is not going to get what they want. Not anytime in the near future. Even if one has a point. These type of tactics only result in one losing. Edit 01/04/2008: It’s rather disappointing that many intelligent people are conflating a lack of support for a specific category for a lack of support of what that category is to represent. Again, the more one backs organizers into a corner, especially those organizers that aren’t paid to tolerate bullies (that shamefully use a good cause to justify their bad behaviour), it is more likely that the organizers will be forced to stand their ground and one will not get what they want. I’ve commented on the tactical aspects of the nation resolutions, but I think that it is time to address the national question in a more comprehensive way. I think that Joe Clark described the composition of Canada best: “We are a community of communities.” Unfortunately, he lost the election he said that in to the Austin Powers of Canadian Politics, who then proceeded to open up this constitutional mess. The fact is simple; Canada is a multi-nation state. I would say that Canadian is a nation of nations. The word community would have been sufficient, but now the word nation is out of the bag so it is time to use that. The two nation resolutions going to the House of Commons are the beginning of the recognition of this fact. But there seems to be quite a few people that would prefer to impose a single nationality on all of the people of Canada. They say that one can only be Canadian or be whatever nationality. I believe that this is a simple minded view that only serves to cause more fracturing in our society. One hears say on how Canada is a multi-cultural country instead of a melting pot; saying that somebody that lives in Canada can only be one nationality is akin to assimilation. The thing is, one can be Canadian and Quebecois(e). One can be Canadian and Acadian. One can be Canadian and British Columbian. The sooner that we all recognize that we cannot impose uniformity on Canadians, the sooner that this this country will be more safer from separation threats from places like Quebec, Alberta, and Newfoundland. Let’s have a look at the United Kingdom. It is a multi-nation state, made up of many nations, being English, Scottish, Welsh, and (Northern) Irish. But the people who make up these nations can say that they have another national identity which unifies them all: British. I think that Canada can be very much the same. Neither is asymmetrical federalism the end of Canada. Let’s face it, we already live in a asymmetrical federal state for the simple reason that different areas of the countries have different needs. Quebec has certain powers over culture. The Maritimes have a special deal relating to offshore oil (the Atlantic Accord). Alberta collects its own corporate tax. I’m also tired of hearing this argument from people: we should recognize Italians, Czechs, and whatever immigrant nationality. I respond by saying that that is a silly example that lacks common sense, and therefore we would not see any recognition of any nationality not based in Canada. It would be like designating Political Science Students a recognized minority next to black and disable people. Sure, we Political Science Students do make up a numerical minority within Canada, but we can all agree that we don’t need to be designated like a actually recognized minority. So for all those people who are saying that Canada is doomed because of these House of Commons resolutions, I say, calm down and take a chill pill. This is only an symptom of growing pains; of Canada become a more mature state; A Nation of Nations.